Hi, I'm Sander, your Destination Expert. The choices below are based on the trip you selected, feel free to customize them according to your preferences. Select the regions of Uganda you would like to visit. Your preferences are pre-selected based on the trip you’ve chosen. Feel free to change them! 2. What experiences are you looking for in Uganda? Yes, Sander can send me a non-binding offer. "This trip to Uganda with my 18 year old son was extremely satisfying for both of us. 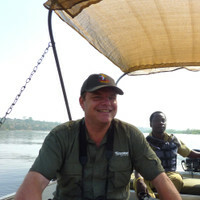 He enjoyed the adventures of gorilla trekking and safaris, I loved the scenery and people of Africa. Our guide, Moses, was perfect for us as he was efficient, trustworthy, experienced and friendly, he was part of our team. Thanks to Sander, our trip went smoothly."